I have always fed my son more healthy than I would eat myself, but I could always do better. 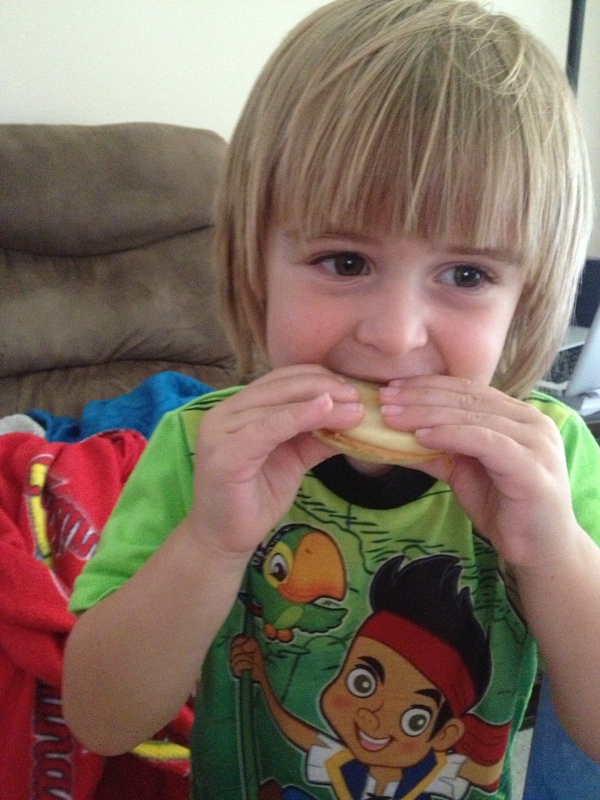 Thankfully, I think since I started him out with healthy foods, he really likes a lot of really healthy things that most children don’t, such as broccoli, edamame, carrots, pretty much all fruit, whole grain breads and pasta, etc. 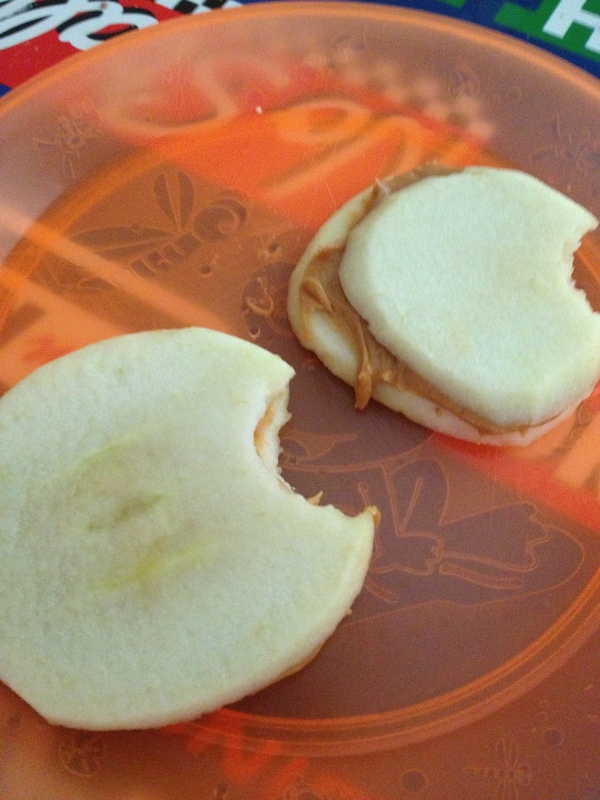 One of his favorite things for lunch are apple peanut butter sandwiches. I simply peel and then slice an apple, then spread all-natural organic peanut butter in between slices to make little sandwiches. He LOVES them and asks for them all the time. Something else the whole family loves is a “Not So Fried Rice” recipe that I modified from Bobbi McCormick’s Summer Shred. 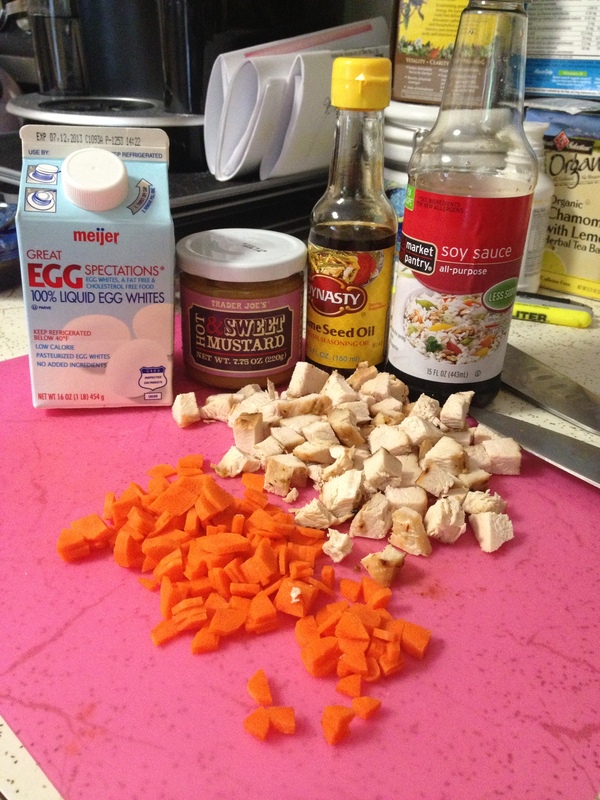 This stuff is not only delicious, but its really easy to make as well, especially if you have some leftover chicken or a rotisserie chicken.